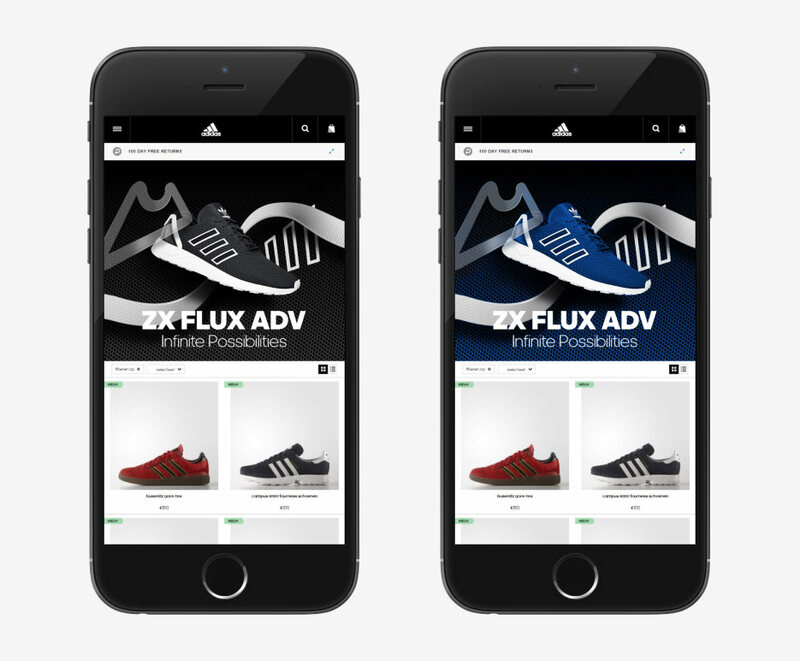 This campaign focuses on the simplistic and sophisticated ZX Flux ADV concept. 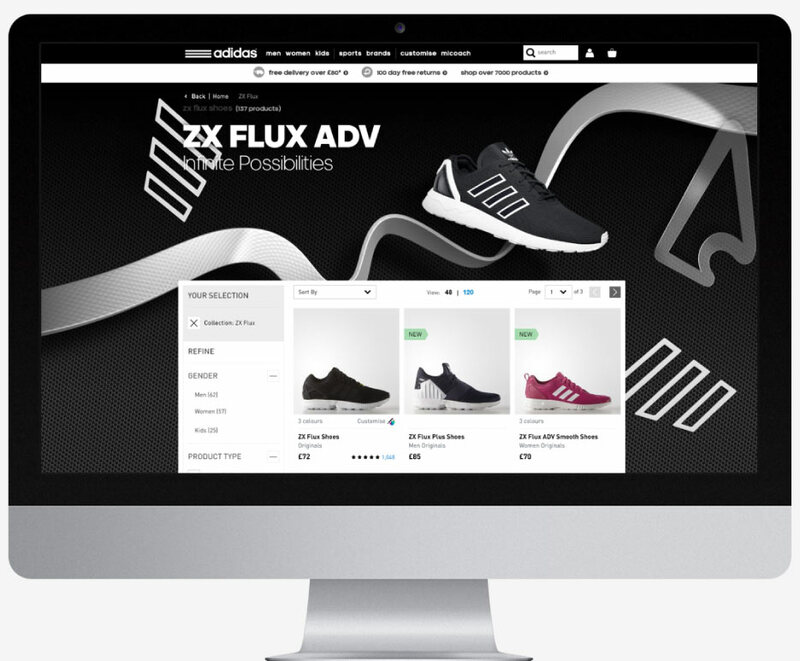 ZX FLUX ADV is the latest addition to the ZX Flux franchise. ZX Flux is THE modern running franchise with a feeling of technology & fashion in material and colour. ZX FLUX ADV is the natural progression of the classic ZX Flux sillouette; more mature, refined & sophisticated, but with the same winning design principles as the original. With an on-site experience we elevated ZX FLUX ADV image and consolodated its succes. The on-site experience was build upon the Flux PLP so consumers can seamlessly transition from an engaging experience to a shopping activity. Simplicity & sophistication were the leading principles, staying closely aligned with the overall campaign theme; the new features of the sillouette, material expression & dynamic perspective.